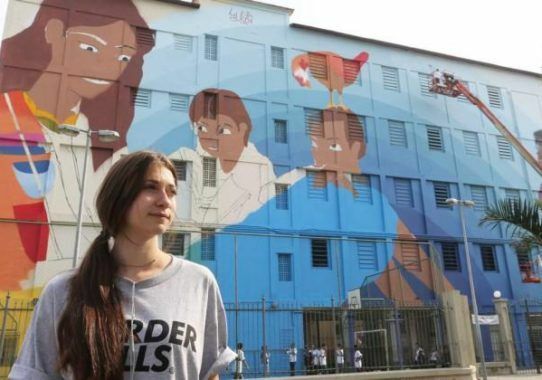 In partnership with the Municipal Secretary of Culture of Rio de Janeiro, the artistic producer Kleber Pagú and the artist Luna Buschinelli, Tudo de Cor (Let’s Colour Brazil) signs "Contos“ (“Tales”), panel of 2500m² painted on the walls of the annex of the Rivadávia Corrêa Municipal School (public school). 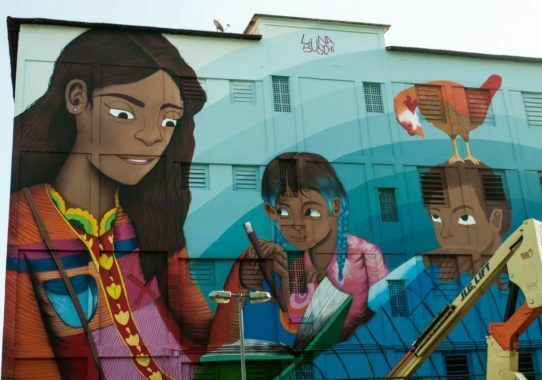 In partnership with the Municipal Secretary of Culture of Rio de Janeiro, the artistic producer Kleber Pagú and the artist Luna Buschinelli, Tudo de Cor (Let’s Colour Brazil) signs “Contos“ (“Tales”), panel of 2500m² painted on the walls of the annex of the Rivadávia Corrêa Municipal School (public school). 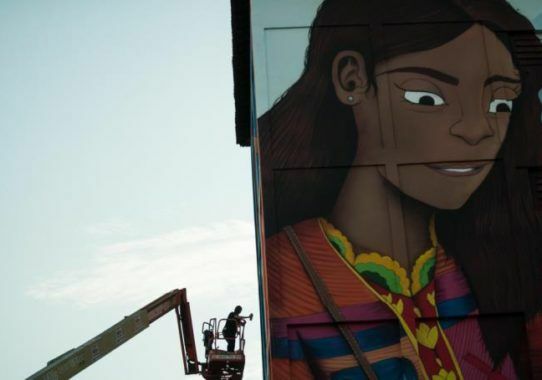 Launched officially on June 19, the work is about to enter the Guinness Book as the largest mural in the world painted by a woman. 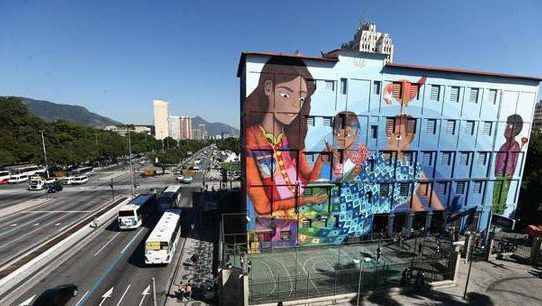 The initiative is part of the “Rio Big Walls”, a project that aims to value urban spaces in the city of Rio de Janeiro by means of redefining street art. 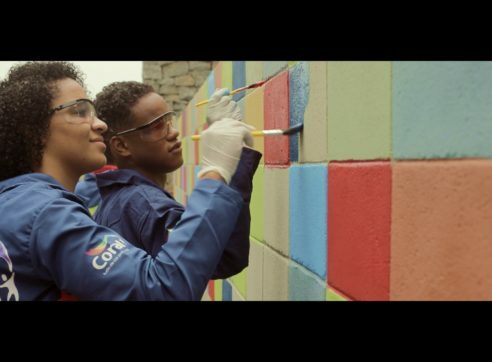 About 1000 liters of paint were used to create the graffiti that is a real thank you to the mothers and teachers of Brazil. 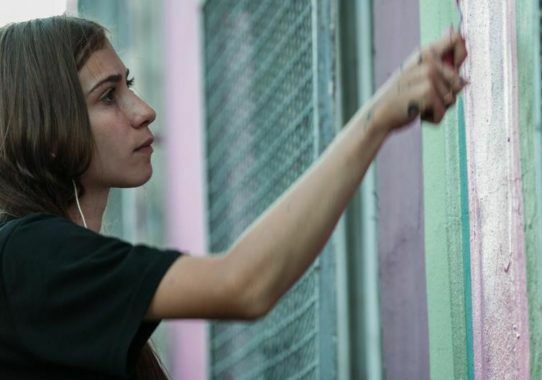 Luna was invited by street art producer Pagu, who was responsible with Andrea Franco for the murals painted on the Boulevard Olímpico, among them “Etnias” by Eduardo Kobra, who won the biggest record in the planet in 2016.  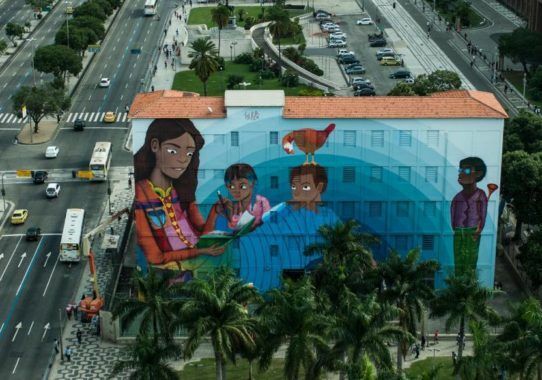 The mural is about to receive the Guiness Book certification as the world’s largest painted by a woman and the Tintas Coral will appear as the brand that patronized the action. 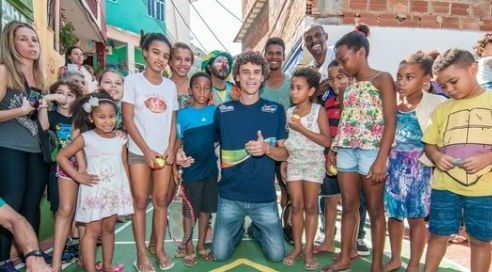 The book is expected to be published in early 2018 and bring the work into the spotlight. 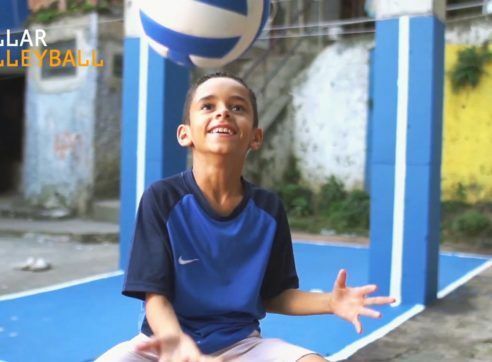 Find out more about Coral in Brazil here.